Guthrie Lumber Co can provide you with all of the cypress lumber you will need for your project. We make your work easier by providing you with everything from interior to exterior lumber. Cypress wood is our specialty, but you can also purchase lumber and timbers made from such fine wood as oak, pine and poplar. Our lumber yard, located in Cecil, Georgia has a sawmill on-site, and we can cut whatever your special needs and size that you might need. There is no minimum order requirement..
Guthrie Lumber is a local, family-owned business that started as a log truck company. We expanded into lumber to better serve the local community with a quality selection of lumber . When you come to us, you receive help from professionals with 60 years of experience. We know just what you require to make your construction project a total success and we offer it to you at lower, competitive prices. Call us now for friendly and knowledgeable customer service. 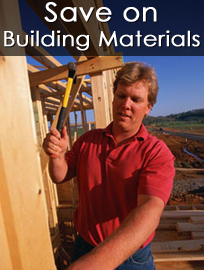 construction materials and supplies. Call (229) 794-3614 for more information.